JC range of Jaw crushers is synonymous with excellent reliability. The modern design offers numerous mounting configurations which along-with high quality cast steel components, world- class premium self aligning bearings deliver low cost per ton of crushing. The extensive range of JC crushers can meet various output requirements from 10 Tons per hour to 900 Tons per hour. The modern JC series is based on many years of product development in the most arduous conditions. 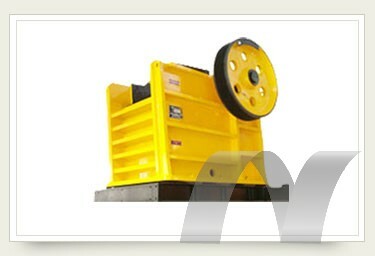 All JC crushers are made as per IS 4254 standards in state of the art ISO 9001:2000 certified units. The JC series of crushers comply with all International Standards in terms of performance. The crushers are being widely used in crushing applications of blasted stone, river gravel, limestone, iron ore, ore mining in metallurgical plants and recycling industries. Special care is taken to ensure that JC Jaw crushers are built to last for a life time.